What’s Trending at Six Senses? 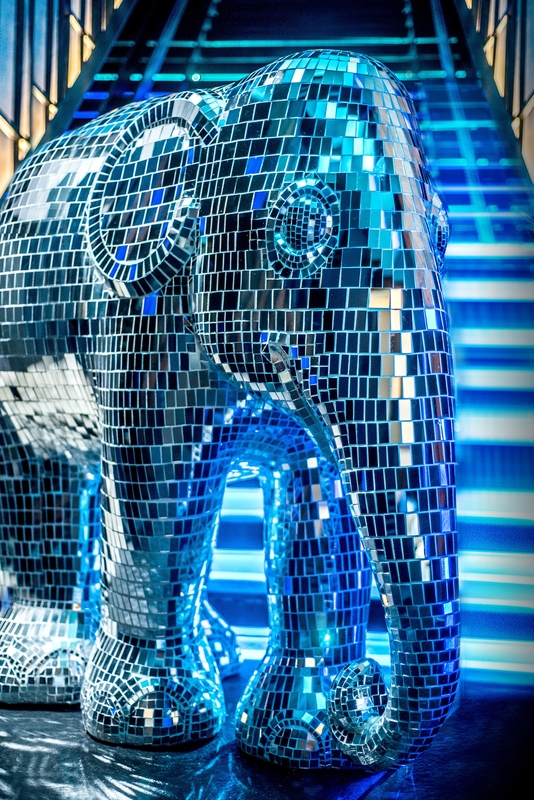 ANANTARA HOTELS RESORTS & SPAS is partnering with Elephant Parade and top local and international celebrities and artists to bring the world’s largest open air art exhibition, Elephant Parade, to Bangkok. The exhibition will see a herd of almost 100, 1.5 metre brightly coloured elephants, which have been specially decorated and hand painted and will be exhibited as a herd in key locations throughout Bangkok, starting Dec. 1, 2015 and ending on Jan. 29, 2016. The first major Elephant Parade was held in Rotterdam in the Netherlands in 2007 and has since been exhibited in cities across the world including London, Singapore, Amsterdam, Milan and Hong Kong. Elephant Parade Bangkok will be a first for Thailand and the only one for the city. The event was originally created after founder Marc Spits and his son Mike visited the Friends of the Asian Elephant hospital in Lampang, Thailand, which treats sick and injured elephants. There they saw Mosha, a baby elephant who lost her leg after stepping on a landmine when only seven months old and was the first elephant to receive a prosthetic limb. She is fitted with a new leg every year, and each time must learn to walk all over again. Mosha features in each Elephant Parade exhibition and will have a specially Thai-themed painted prosthetic leg for the Bangkok Parade. Artists from all walks of life have been busy designing their elephants, each an original piece of art to help paint a brighter future for Thailand’s national animal. Famous supporters of Elephant Parade Bangkok include: Hangover 2 star Nirut Sirichanya; Furious 7 star Tony Jaa; Designer Paul Smith; World Number One DJ, Hardwell; Miss Thailand World, Sirinya Bishop; Artists Elizabeth Romhild, Elsie Evans and Nancy Chandler, Sculptor Gavin Fifield and a wide range of Thai celebrities and artists. “In my life I have spent a lot of quality time with elephants. I grew up in a mahout family and started my movie career with an elephant as a co-star,” said Furious 7 star and Elephant Parade Ambassador Tony Jaa. In February 2016 a selection of elephants from the parade will be auctioned off at a charity gala dinner at Anantara Siam Bangkok, with the proceeds going to the Golden Triangle Asian Elephant Foundation, which, in turn, will select and fund a range of sustainable programs that benefit the elephants of Thailand, including Wildlife Alliance, Freeland, WildAid, Think Elephants and Thai Elephant Therapy Project. The Golden Triangle Asian Elephant Foundation (GTAEF) was set up in 2006 to improve the plight of Thailand’s elephants, and has since been diversified to include welfare projects that incorporate broader philanthropic and cultural objectives with unprecedented success. “As a company, we are always looking for like-minded partners who share our true passion in saving the Asian elephant and Elephant Parade has long been known for its elephant conservation efforts in Thailand, which is why we feel this partnership is the ideal fit,” said William E. Heinecke, Chairman and CEO of Minor International, the parent company of Anantara Hotels Resorts & Spas. “Elephant Parade is very proud and excited to team up with such a great company as Anantara and The Golden Triangle Asian Elephant Foundation. We share the same commitment and values in helping save the Asian elephant, ultimately from extinction. “We’ve travelled all over the world with Elephant Parade and now it feels like we are coming home, with our upcoming event in Bangkok. I am sure this exposition will be our most exciting and colourful one to date,” Mike Spits, Elephant Parade founder. MANY PEOPLE DO NOT SLEEP WELL, and according to Dr. Michael Breus, diplomat of the American Board of Sleep Medicine, fellow of The American Academy of Sleep Medicine and consulting sleep doctor to Six Senses, poor sleep over a period of months and years is associated with long-term health consequences such as heart disease, high blood pressure and diabetes. There are several things that a person who struggles to get a good night’s can do to increase the quality of their sleep. Tips include going to bed at the same time each evening, consistency reinforces the body’s sleep-wake cycle; setting your thermostat to 72 degrees Fahrenheit (23 degrees Celsius) for the ideal ‘night’ temperature and energy savings, and making sure your bedroom is completely dark since nightlights, phones and alarm clocks disturb natural melatonin production. Also topping the list for optimizing sleep is the quality of the mattress you sleep on and your choice of linens. At Six Senses Hotels Resorts Spas, great efforts have been made to deliver the best possible night’s rest to guests and the group identified the highest quality, handmade natural fibre bed on the market that is also made based on sustainable practices and components – Naturalmat. The Six Senses bed created by Naturalmat is a mattress and topper combination made with entirely natural and organic materials, all from renewable and sustainable sources. All Naturalmat mattresses are handcrafted from their premises on the banks of the River Exe in Devon, UK. The Six Senses mattress has a supportive core made from hand-nested individual pocket springs in cotton casings, these are then sandwiched between layers of natural latex. The mattress is tufted in organic lambs wool. Wool is the perfect natural insulator, its complex structure of fibres allows it to wick moisture away from the body ensuring even body temperature maintenance – keeping you cool in the summer and warm in the winter. The Six Senses topper adds a soft top layer to the mattress. Naturalmat bed bases are traditionally made, using FSC timber, which is constructed using solid corner pieces and all components are glued and screwed together to make a really strong and long-lasting bed base. 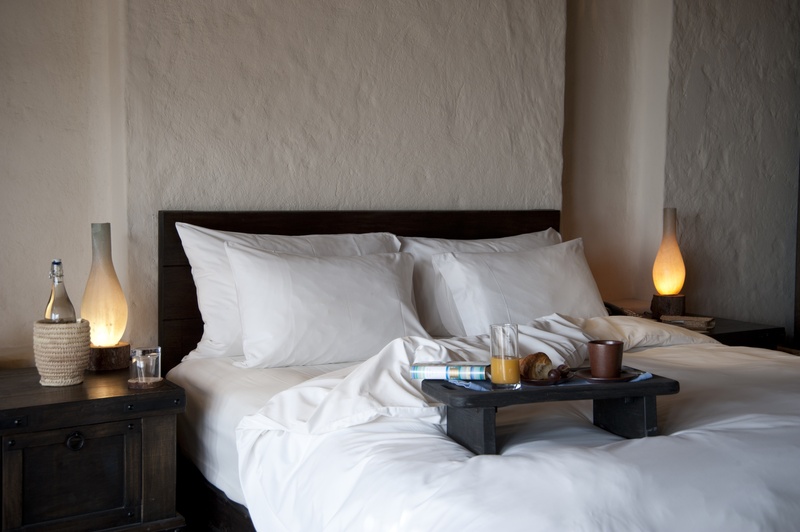 Guests interested in experiencing the Six Senses Sleep Program, can contact their Six Senses property of choice in advance of their arrival to inquire about the availability of the new bed. Guests interested in purchasing a Six Senses Naturalmat mattress can place their order at any of the resorts currently featuring the mattresses – Six Senses Douro Valley in Portugal and Six Senses Zighy Bay in Oman. Orders can also be placed by phone at +66 2631 9777 or email at mail@sixsenses.com. Six Senses in tandem with Dr. Breus, consulting sleep doctor to the brand, will roll out a group-wide sleep program called Sleep with Six Senses in 2016. He will be offering a seven-course dinner on each evening, starting at 7 p.m. The dinner is priced a 6,000 THB per person and the dinner with wine pairing at 8,000 THB per person. For further information and reservations, email afbm@viehotelbangkok.com or fb@viehotelbangkok.com. At the age of only 17, Franck Putelat was hired at the kitchens of the Hôtel de France in Les Rousses. 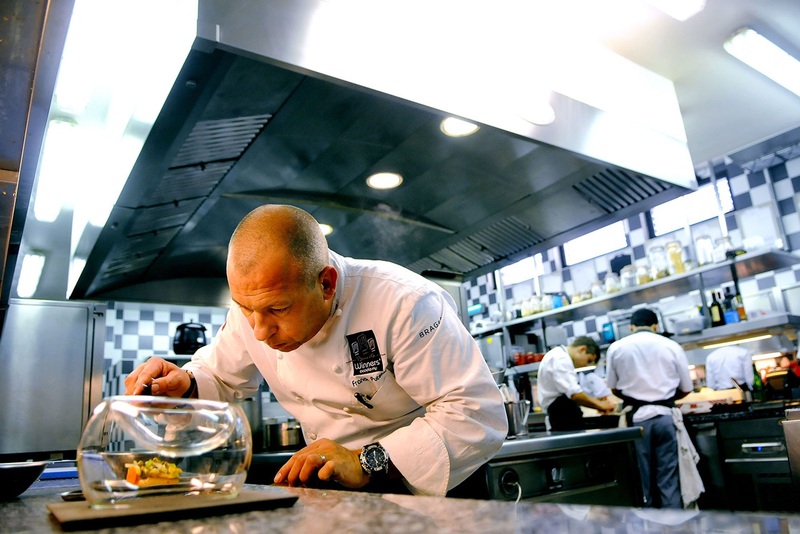 Since then, he has followed a steady ascent, going from the Auberge de Chavannes, Taillevent, under the direction of Philippe Legendre, to Georges Blanc’s restaurant at Vonnas, where he was Executive Chef. This career path has also allowed him to take part in various promotional activities around the world, from New York to Singapore, Peru, Canada and now to Bangkok. DUST THANI SPAS are celebrating the Moon Festival with two special three-hour treatments — Full Moon Ritual and New Moon Ritual. The full moon phase is a great time to calm your body and mind. The Full Moon Ritual starts with a body scrub, followed by a relaxing Abhanga massage, and ends with a facial, using rose and jasmine oils for serenity. The New Moon Ritual focuses on detoxification. The treatment begins with a green tea and seaweed body scrub to cleanse and re-energize your lymphatic system and is followed by an algae and caffeine slimming wrap to draw toxins from your body, and ends with an aromatic detoxifying and contouring massage. The Moon Festival or Mid-Autumn Festival has been celebrated in Chinese communities around the world for more than 3,000 years. It dates back to the Shang Dynasty and is celebrated on the night of the full moon between early September and early October. To mark the occasion, Dusit Thani Bangkok is offering handcrafted moon cakes. They are available until Sept. 28 at Dusit Gourmet’s mooncake counter. 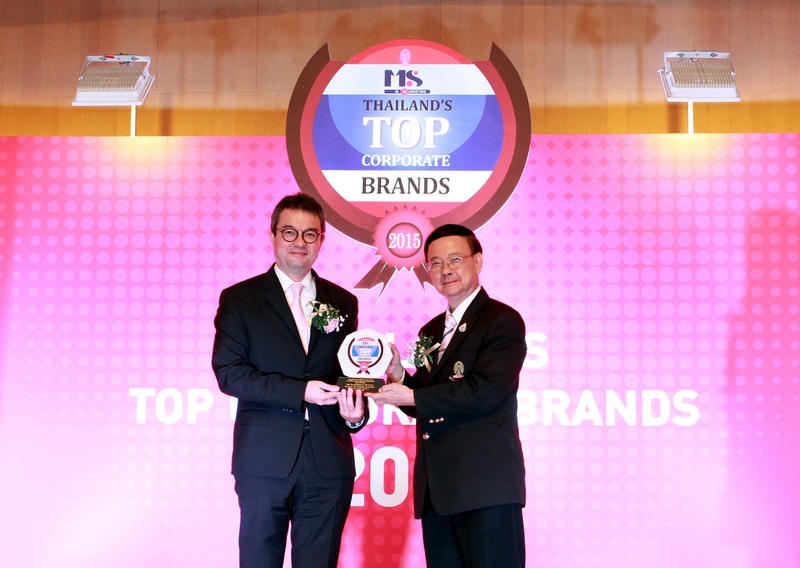 CENTARA HOTELS & RESORTS is the first to be recognized as ‘Thailand’s Top Corporate Values 2015’ in a new Tourism and Leisure brands category by Thailand Top Corporate Brands. The annual award recognizes publicly listed companies with superior corporate brand values and designed to raise awareness on the importance of corporate branding as a vital component for ensuring business sustainability in Thailand. Thirayuth Chirathivat, CEO of Centara Hotels & Resorts, received the award from Prof. Pirom Kamolratanakul, president of Chulalongkorn University, one of the oldest and most well known universities in Thailand. “The significance for Centara Hotels & Resorts to receive such a wonderful recognition of the hard work and careful attention to developing and building an international brand that is still rooted in the essence of Thai hospitality is a major achievement,” said Thirayuth Chirathivat. The awards are presented based on results from the research that evaluates and ranks corporate brands in Thailand. It was conducted by the Chulalongkorn Business School, using the data to develop brand valuation tools that can be systematically applied in Thailand towards obtaining accurate CBS valuations, and also raising the awareness of the importance of sustainable corporate branding. “We understand that our brand extends so much further than our logo and marketing materials. Our brand is the entire customer experience from our website to our social media, and from the infrastructure of our properties to the interaction that a guest has with Centara staff,” said Chris Bailey, Centara’s COO. 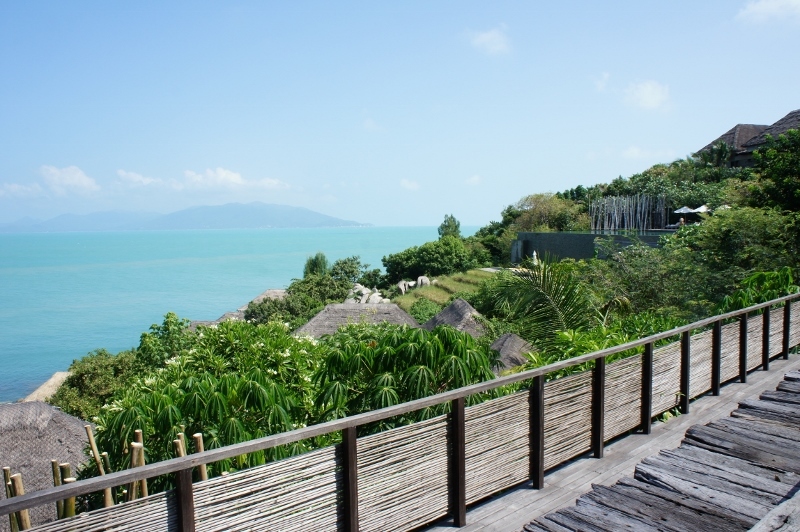 SIX SENSES RESORTS & SPAS is launching a social media feed aggregator on the brand’s website, sixsenses.com. The new platform called The Edit by Six Senses aggregates user generated and brand content through the use of hashtags and key words in social platform posts. Guests visiting the website of Six Senses can enter into the social media world of the brand through the group’s home page or via dedicated microsite, http://theedit.sixsenses.com, pulling content from Facebook, Pinterest, YouTube, Twitter and Instagram, and featuring the best and most interesting content shared by users as well as Six Senses resorts and spas. Updates to the feed occur daily, so the content is always changing. Six Senses prioritized the importance of connecting with guests and fans at a deeper level through social media in 2015. The brand’s objectives were to grow its social IQ by educating Six Senses hosts about the most important social media channels and functionality, while simultaneously inspiring guests through the publishing of rich, engaging content. Teams have been selected as social media ambassadors at all resorts and in the spa division. The most talented joined the Six Senses Social Media Academy, which ran over a period of eight months. Channel tutorials were held on a monthly basis and included daily homework, channel testing and a final exam. “This dedicated micro site, not only allows us to curate the best content, but makes it easy for guests to search content, photos and videos by property location and subject,” said Julia Gajcak, vice-president marketing and communications. The brand’s first campaign entitled #outoftheordinary celebrates what makes the unique group of resorts and spas so special – from paragliding arrivals off a mountain cliff in Oman at Six Senses Zighy Bay and oenology and wine certification programs in Portugal at Six Senses Douro Valley to behind the scenes access to pandas in China at Six Senses Qing Cheng Mountain. ROYAL GARDEN SPA has created a special Energizing package that allows you to experience and enjoy the spa and its facilities. The package includes a 60-minute Elemis Deep Tissue Massage, and a 30-minute Aromatic Steam. The spa is located in the Pattaya Marriott Resort & Spa, overlooking a tropical garden and its beach – a sanctuary in the heart of the city. It has 298 rooms and suites surrounded by lush tropical greenery. The location is so central that guests are just steps away from the best shopping and entertainment in town. Pattaya Marriott Resort & Spa has two excellent restaurants, two bars, and a large swimming pool, tennis courts, a health club, and the Royal Garden Spa. 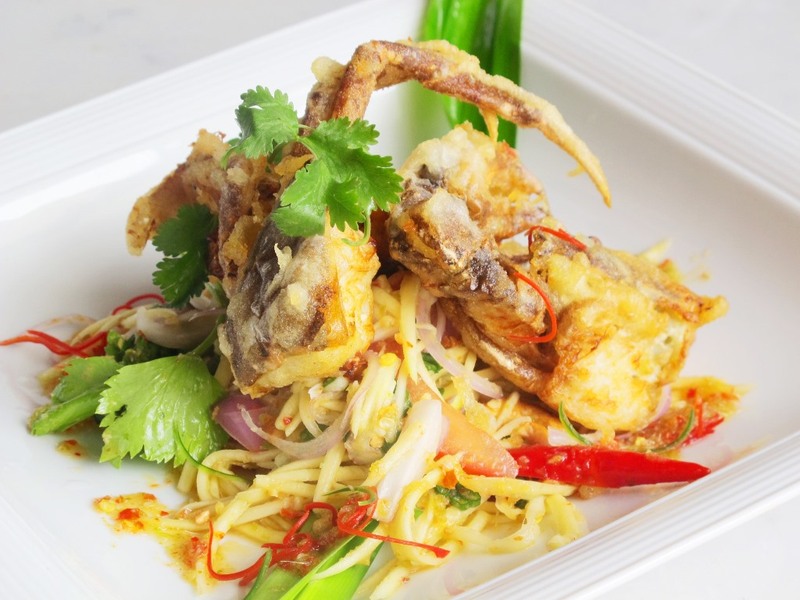 THIS MONTH’S RECIPE from SALA Rattanakosin’s menu is Yam Puu Tod Mamuang – a soft shell crab served in a light tempura batter over a fresh green mango salad. Soft shell crab; tempura batter; and quality oil for frying. For the salad: Slightly sour green mango cut into thin strips; shallots or red onion thinly sliced; roasted cashew nuts; Asian celery or regular celery leaves; and spring onions. For the dressing: Fish sauce; lemon juice; coriander stalks; this bird eye chili palm sugar – with a sprig of coriander; finely sliced red chili; and lemongrass, cut lengthways to decorate. Prepare the dressing by blending all the ingredients together in a food blender to a smooth consistency. This can be made in advance and be kept chilled for up to four days. Prepare the salad by mixing all of the ingredients together and add as much dressing as you desire. If you like more spicy, add more dressing. Assemble the salad onto a chilled plate or bowl and put the fried soft shell crab on top. Decorate with lemongrass, coriander and finely sliced chili. In other SALA food news, SALA Phuket is offering a special set three-course menu that includes dessert with wine paring at a discounted price of 2,200 BHT per set. For further information, call 66-7633-8888. At SALA Khaoyai, you can treat yourself to a private rooftop barbecue, with a selection of Thai appetizers, green and regional salads, pork, chicken and vegetable skewers, fresh fruit and a variety of desserts. For futher information, call 66-8-9846-0500. 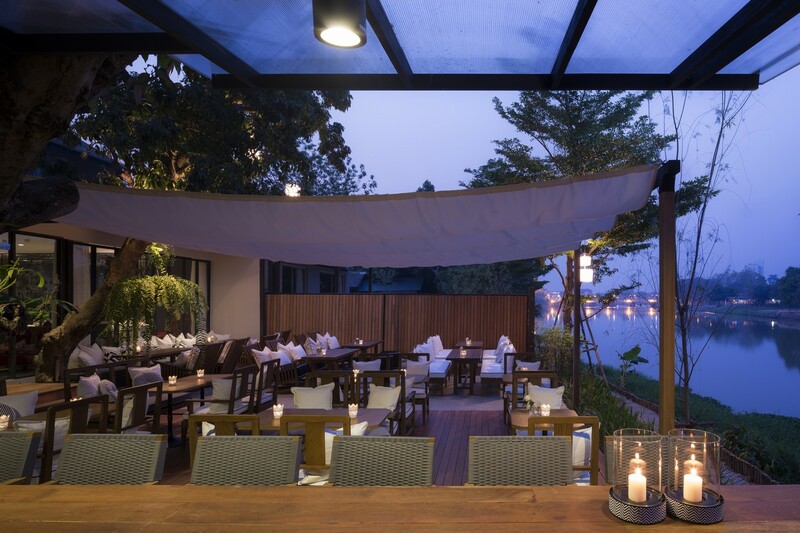 During the month of September, SALA Lanna in Chiang Mai is serving special tea quenchers at its riverside Italia restaurant. Dishes include SALA Cobb salad and fettucini seafood. CENTARA HOTELS & RESORTS, Thailand’s leading hotel group, has announced the promotion of Chris Bailey to chief operating officer from senior-vice president of sales and marketing. 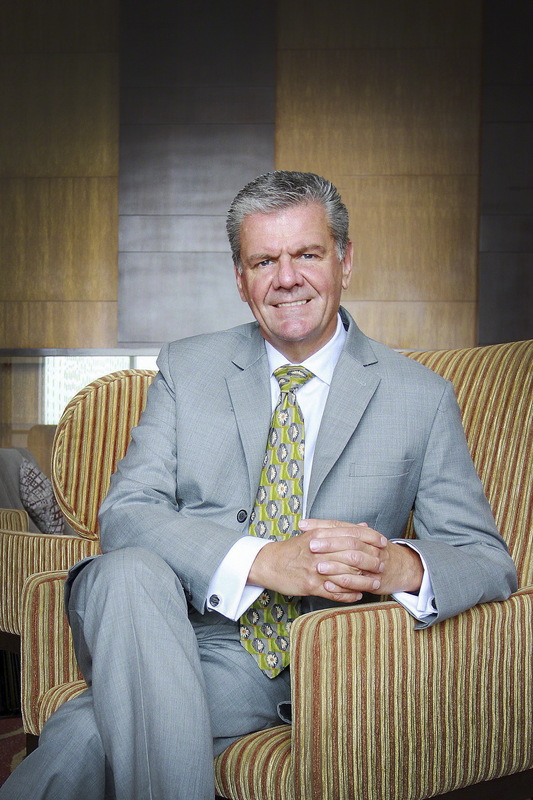 Since joining Centara Hotels & Resorts in 2004 as the vice-president of sales and marketing, Bailey has played a significant role in the formulation of the effective growth strategy that has propelled the company to the pre-eminent position in the industry it enjoys today. With only eight properties in 2004, Bailey will help to oversee a current portfolio of 70 properties. That number is still growing. With a wealth of experience in travel and destination management, Bailey brings that knowledge and wider industry perspective to his new role. Bailey will oversee Centara operations, sales and marketing, and the organization’s various corporate entities, which are all vital components as the company continues to rapidly expand locally and internationally. Centara Hotels & Resorts is Thailand’s leading hotel group, with 46 deluxe and first-class properties across Thailand, as well as 24 hotels and resorts in the Maldives, Vietnam, Bali, Sri Lanka, Qatar, Laos, Oman, Turkey and China. Centara also operates 25 branches of Spa Cenvaree, an award-winning spa brand, together with 6 branches of the value brand ‘Cense by Spa Cenvaree’. The company’s Kids’ Clubs are available at all their family-friendly resorts. Centara also operates three state-of-the-art convention centres in Bangkok, as well as two in northeastern Thailand. The latest Centara brand to be launched is COSI Hotels, an affordable lifestyle brand; the first property is due to open in 2016.